If knowing what smoking does to the inside of your body isn’t enough to motivate you to quit, consider the damage it does to your looks. 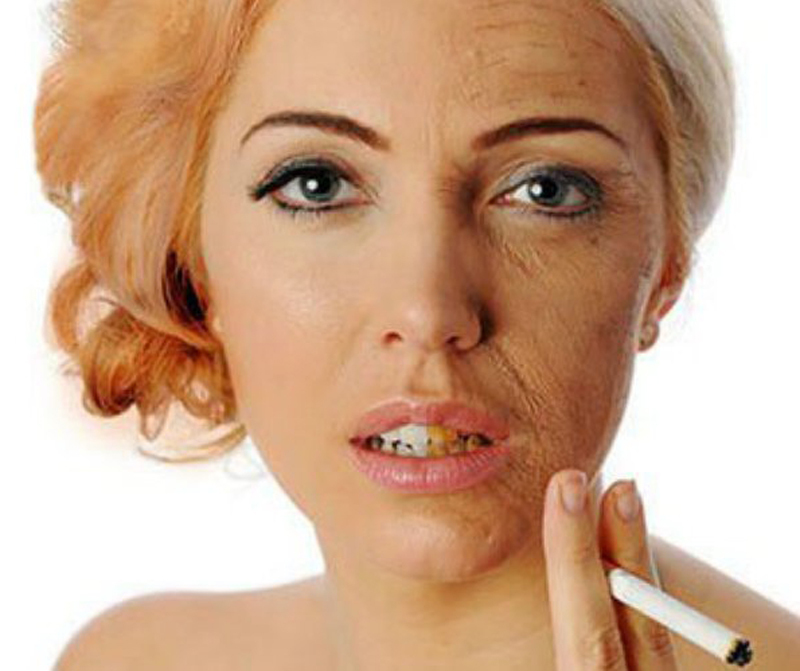 Long-term smoking takes a major toll on the appearance of your hair, teeth, skin, and more. Although people who have never touched a cigarette get psoriasis, smoking increases your risk of developing it, research shows. If you smoke a pack a day, your chances of getting psoriasis increase by 20 percent. If you smoke at this rate for more than 11 years, the risk of having psoriasis increases to 60 percent. To avoid this condition that causes scaly skin that is red, patchy, and flaking, put out that cigarette. 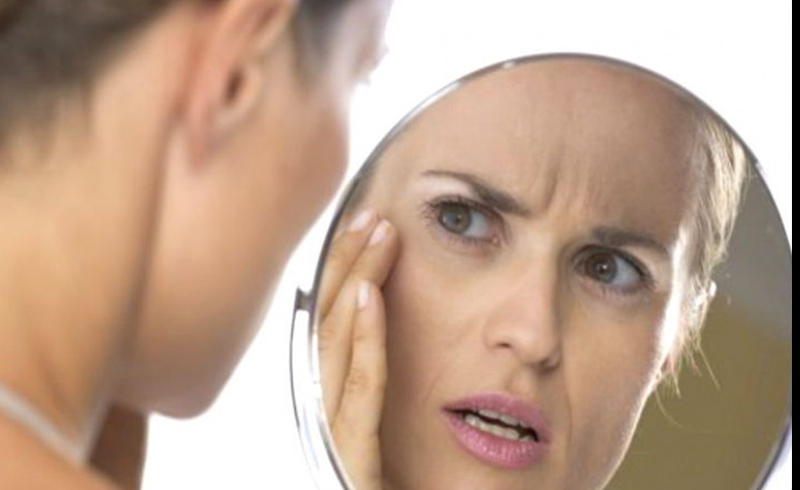 Chances are you already know this one—all you have to do is look in the mirror. The nicotine in cigarettes deeply stains teeth yellow, and over time can even turn them brown. To make matters worse, the tobacco in cigarettes can lead to gum disease by weakening the soft tissue and bone of your teeth. So not only will your teeth turn dark yellow, they may even fall out over time. Don’t miss these 15 incredible ways your body heals after you quit smoking. One of the most common ways smoking takes a toll on your appearance is by turning skin dull, gray, and generally lackluster. Smoking depletes nutrients including vitamin C, which work to repair and protect damaged skin, nicotine hinders blood flow, and cigarette smoke is filled which carbon monoxide, which displaces the oxygen in your skin. All of these effects together leave you with unnaturally discolored and dry skin. The affects of smoking even go below the belt. After testing nearly 60,000 women, researches concluded that smoking makes sexually active people more susceptible to HPV infection, including the genital warts that go along with it. Even when taking number of sexual partners into account, the study found that women who smoke are four times more likely to have genital warts, probably because nicotine suppresses your immune system. 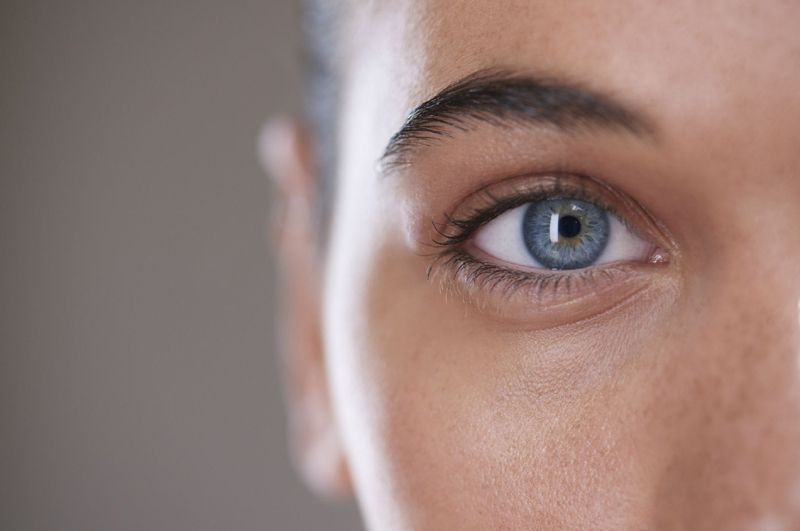 By putting oxidation stress on the eye lenses, smoking greatly raises your risk of developing cataracts by a whopping 22 percent. Swedish researchers discovered that even after quitting smoking, the associated risks persist. Check out these ways to take back your health after you quit smoking. 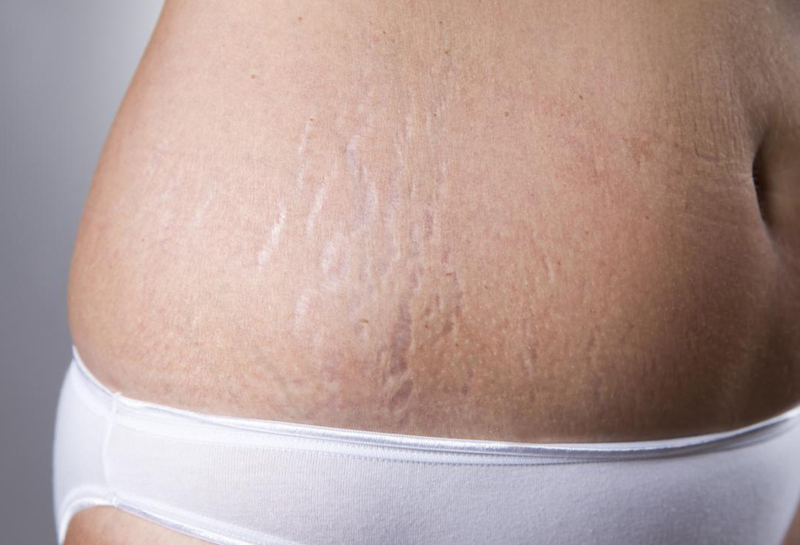 Although anyone can develop stretch marks as a result of rapid weight loss or gain, smoking makes getting stretch marks far more likely. The nicotine in cigarettes damages the connective tissue and fibers in your skin, causing weaker skin with poor elasticity. As a result, smokers are more likely to see the silver stripes form along their hips and thighs, as their skin isn’t strong enough to remain taut with weight fluctuations. 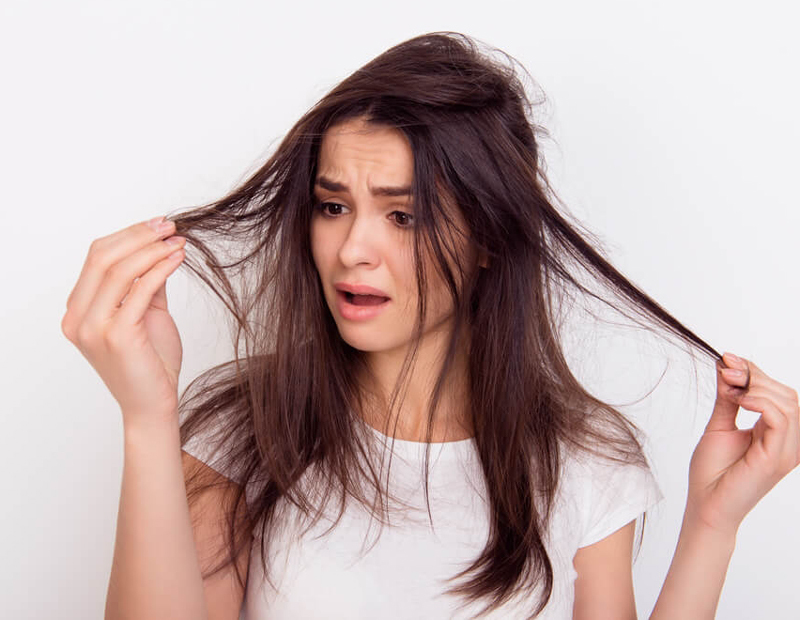 Smokers tend to have thin, weak hair because the toxic chemicals in smoke damage the DNA of hair follicles. 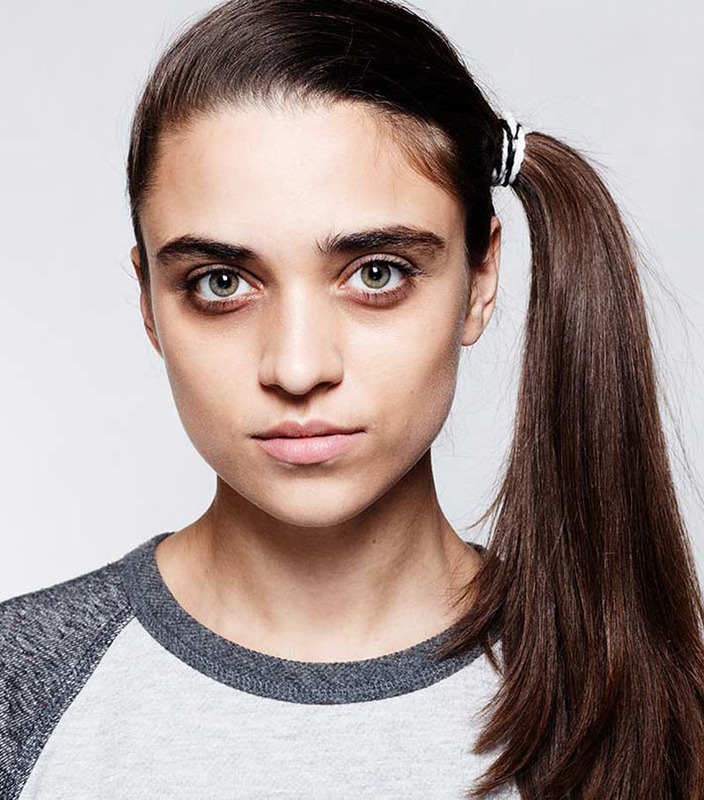 Cigarettes also produce cell-damaging free radicals, which not only make hair thin and brittle, but also turn it gray. In one study, men who smoke were twice as likely to lose their hair altogether. Smokers are notorious for developing fine lines around their mouths as a result of puckering to inhale, but the damage doesn’t end there. The nicotine in cigarettes weakens skin, which results in premature wrinkles in a number of areas, including the forehead, eyes, neck, and chest. Experts warn that smoking accelerates aging so drastically that even young smokers look an average of two years older than they would otherwise. Learn about how ex-smokers finally kicked the habit for good. As an appetite suppressant, smoking takes a toll on the body by causing a gaunt, thin appearance, but smoking also changes your body by causing sagging breasts. Smoking increases the speed at which skin loses its elasticity, so weighted areas like breasts and underarms will more noticeably sag. Smoking has long been linked to the development of skin cancer, but studies also suggest that smokers are more likely to develop visible age spots. Smoking weakens skin and deprives it of necessary nutrients. 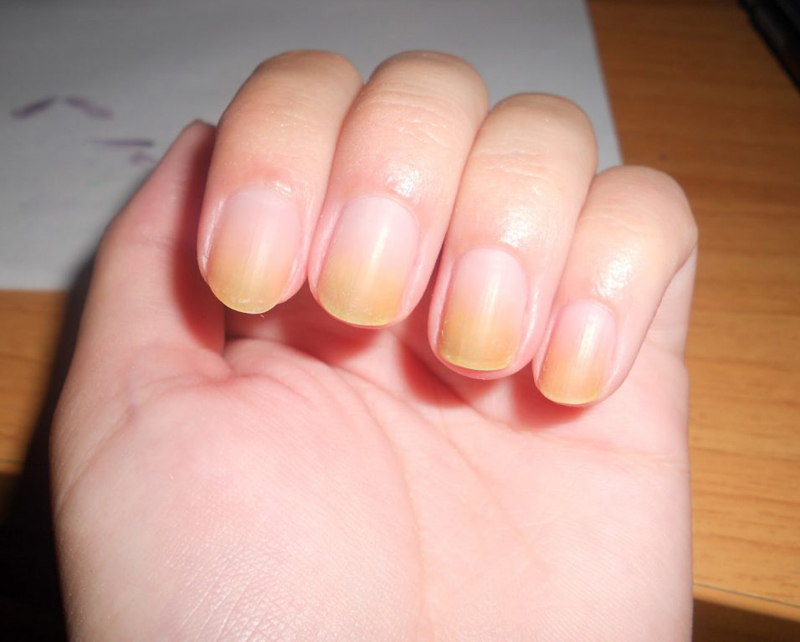 In addition to staining teeth, smokers nails and even fingers can turn yellow thanks to the tobacco in cigarettes. Try these 23 effective ways to quit smoking once and for all.